Our Price: $15.00 GST incl. 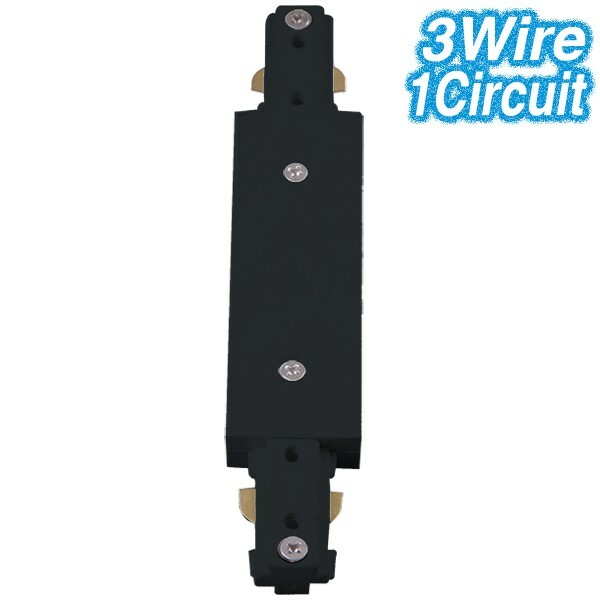 The Black Centre Feed - 3Wire 1Circuit is a live joiner that connects two tracks. Mains power may be connected from this joiner. 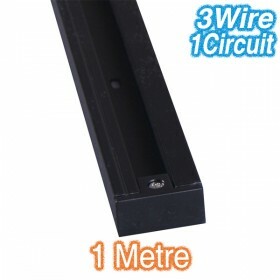 It has an acrylic housing and finished in a black coloured acrylic. *Please Note: Available in 2 Colours - White or Black. For alternative colours, please see our other listings. Constructed From - Acrylic housing. Frame Colour - Black coloured acrylic. Install Type - Surface mounted. 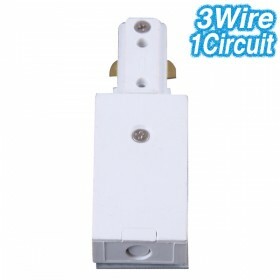 Compatible with 3Wire 1Circuit track accessories and track heads. 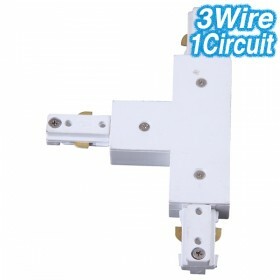 3 Wire configuration, with 1 switching circuit. Track lighting has become a very practical, versatile and flexible option for the home, office and retail showrooms. The beauty of track lighting, is that it can be installed to the ceiling or even suspended from the ceiling. Once installed, the heads can be positioned anywhere along the track, then re-positioned in merely a few seconds. Track lighting is ideal for tight spaces and hard to reach areas (in the case of a concrete ceiling). Track lighting offered at MICA Lighting, comprises of 2 components, the track and the head light fitting. 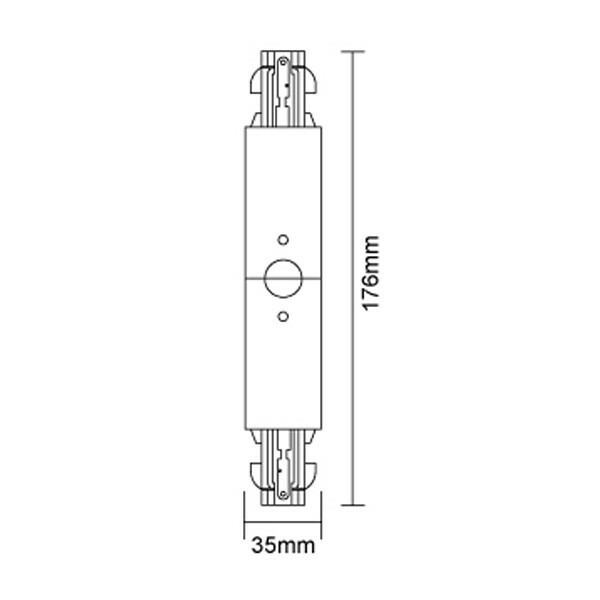 The track is available in various lengths, and can also be easily extended to attach numerous lengths together, by simply using a joiner. In most cases, only one power source is required to power the whole length of track, this is depending on the final length of track. Both the tracks and head light fittings are available in a variety of colours, model choices and wattages which makes track lighting a very popular choice. 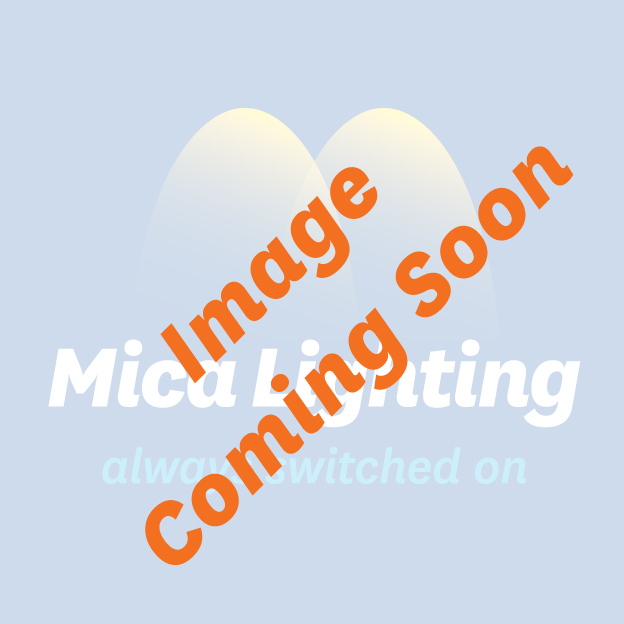 In addition to our 12v Halogen range, MICA Lighting now also offer a Metal Halide Track Lights and LED Track Lights.